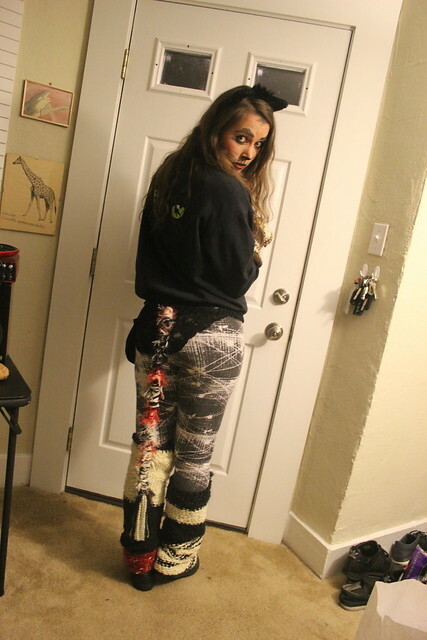 This Halloween was my first after moving to Maryland, so I did not have any old costumes with me nor did I have the funds to make an entirely new costume. 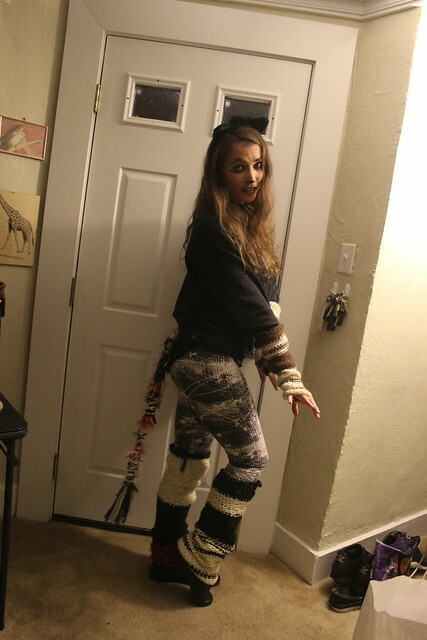 I've been working on a new CATS costume for Broadway Con so I decided to use finished elements of that and my vintage CATS sweater to create a 'half-way Jellicle' costume. So 80s! 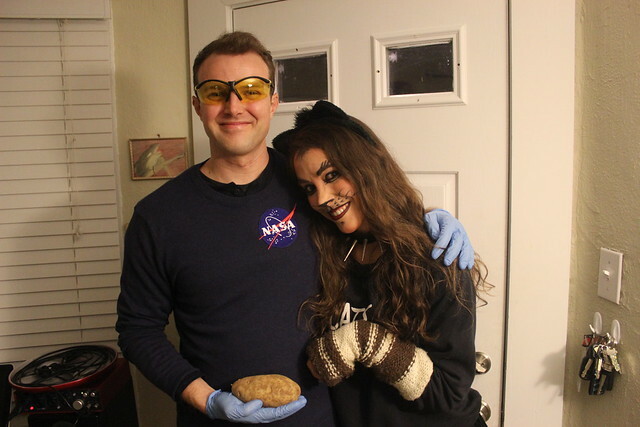 Jim went as Brad Pitt in the film The Martian, complete with a potato!